This is the most important political period of our lifetimes. It really is mandatory now to evaluate every issue on its merits, to ally politically on the concrete issues of the day even with those we have strongly opposed on other issues on the past. To employ the United Front tactic with Leninist flexibility, to abandon criticisms on a personal basis and evaluate everything on a class basis. Not to abandon past political differences but to weight them in the light of the new political circumstances. Who is the main class enemy, what are the main challenges to the global class struggle, to what extent are our temporary and conjunctional allies measuring up to these challenges, particularly on the most important question of the day; defence of Jeremy Corbyn’s leadership of Labour and how to take the struggle forward. We will return to these points later in the article. Already it is likely that local Labour Councils will split as the PLP has split following the sacking of Shadow foreign secretary Hilary Benn by Corbyn on 28 June and the defection of most of his shadow cabinet followed by the vote of no confidence in him by 172 Labour MPs the next day. We had rival statements from Labour councillors, 240 for Corbyn vs 500 for Eagle. The boroughs where those 500 are concentrated shows how the local splits are likely to happen. 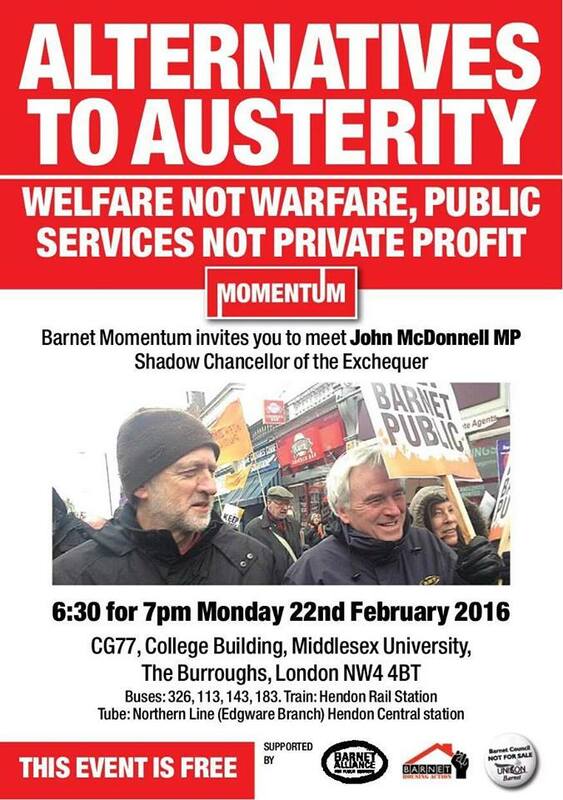 Here we must demand that leftist councillors ally with the local anti-cuts campaigns and others to fight the imposition of austerity. The borough wide trades councils are vital here to bring the council unions on board and counter possible opposition by regional and national union officials to coordinated struggle, particularly strike struggle and occupations. And the local ward Labour Parties and General Committees must pressurise those council leadership who have made only token opposition to cuts. Indeed, some Labour council leaders do not do even that, and these will likely go with any Blairite split. At least that will have the benefit of highlighting differences and enable heightened pressure on those who remain with Corbyn; expectations of real anti-austerity measures will surely be heightened. And vital here also is the regional and national struggle against the ‘legal budget’ stance of Corbyn and McDonnell backed up by the Momentum leadership – these instructions must be rescinded. Central also here are the housing campaigns, anti-deportations struggles and other justice campaigns; once we get a real movement going we can integrate all these campaigns with the anti-cuts campaigns, the local TUCs, the Labour ‎ward branches, the Labour CLP General Committees and Momentum. Of course all individual campaigns should continue to fight their own issues but the need is now to coordinate all campaigns, to ensure that as many activists as possible participate in at least the most important mobilisations of all campaigns and direct their struggles at local councils, and at national government, by pressurising local, regional and national union, Labour party and government structures so the effect is understood in the wider context. It is clear that Momentum must play a big role but we all know its leadership is inadequate; Jon Lansman in particular is not performing well, he must loosen his grip sufficiently to allow proper working class democratic structures to allow a real fight to begin. His position on the bogus ‘left anti-semitism’ witch-hunt was to accept its validity and therefore to encourage it. We must end the ‘broad church’ position of compromising with the Labour 172 right wingers, launch an immediate programme of deselecting these and fight to implement the disciplinary and democratic structures proposed by the Chakrabarti report (though its stance on anti-semitism is not good) and accepted by Corbyn. These must be the minimum standard for democratic structures in the Labour Party at large, Momentum and the LRC. The LRC may well be pivotal in beginning to forge a real left wing in Momentum to achieve these aims. In the first place we must face reality squarely; the EU referendum result represented a significant defeat for the working class. The Brexit campaign succeeded in setting the anti-immigrant agenda and whole swathes of the working-class, including some 30% of Labour voters outside the urban conurbations with many migrants, were stampeded into blaming immigrants for their problems and the austerity imposed both by Labour councils and the Tories in coalition and ruling alone since May 2015. It doesn’t mean they are all irredeemably racist but significant sections of the subjective middle classes and about 30% of former Labour supporters, as we have mentioned, voted for Brexit. Major class actions that were defeated, like the great miners’ strike in Britain, the class treachery of social democratic reformist workers’ parties and ultra-leftist communists and opportunist self-proclaimed Trotskyist contributed to this debacle. The Tory right, the far right UKIP and fascist forces will be winners from this if the renewed leftist surge we have seen in response to the Eaglite coup fails defeat them by the emergence of a new leadership to rally them to fight austerity. And there are clear indications that some forces within Labour, the LRC and Momentum, and outside Labour, some in Left Unity and elsewhere, understand what has happened have moved leftwards and are at least seeking to work out what is to be done. We must now fight to unite those forces and thereby widen the political debate and discussion inside and outside Labour. By far the most important reason for the debacle is the treachery the exiting leaders of the working class organisations, the trade unions and the Labour party particularly since the economic and political crisis of 2008. Of secondary importance but vital for forging the revolutionary way forward is the inadequacy and opportunism of the left alternatives posed, the Stalinist Morning Star / CPB, the SP and SWP. Since the 2008 crisis broke the trade union and Labour party bureaucracies have sought at every turn to impose wage cuts and redundancies, have collaborated in the destruction of the welfare state with only the most feeble and tokenistic opposition. When the half a million strong TUC demonstration against austerity in March 2011 Len McCluskey, the ‘left’ leader of Unite the union, the biggest in Britain, sent his stewards out with high visibility vests bearing the slogan, “cuts too far, too fast”; in other words, the “austerity lite” programme of Labour leader Ed Miliband that cost us the 2010 election. Now is our chance to reverse that disastrous course, this is why those comrades flooded in to vote for Corbyn in September 2015 and this is why they are flooding in now, swelling its membership to 600,000 so reports assert. The result of selling out strikes and accepting Cameron’s hypocritical slogan, “we’re all in this together” was that there was a massive transfer of wealth from the poor to the rich; the share of the wealth held by the richest 1,000 people in the country more than doubled since the crisis of 2008 to £519 billion by May 2014, equivalent to a staggering one third of the country’s GDP, as it must do when the leaders of the class abandon the class struggle seek to help capitalism out of its difficulties. We must stress here that the TU bureaucracy and the Labour party leadership in parliament are one bureaucracy, the opposite side of the same coin, as Trotsky pointed out when assessing the result of Britain’s lost and betrayed General Strike of 1926. However, the events in the Labour party since May 2015 prove Trotsky’s point beyond a doubt; not only are the trade unions the first level organisations of the working class the Labour party is its representative in parliament. Of course the trade unions are in the stranglehold of the trade union bureaucracy, a layer alienated from the working class and dedicated to the preservation of capitalism. And all Labour leaderships and governments, including the present Corbyn-led one are dedicated to the defence of the capitalist system as the representatives primarily of the trade union bureaucracy in parliament in order to achieve this. The ongoing political chaos in Britain reflects a sharpening of class differences and a polarisation of political stances. This is reflected most acutely in the struggle in Labour party. Jeremy Corbyn and the rapidly expanding membership are on the one side and the 172 Labour MPs who voted no confidence in him on 28 June with only 40 backing him on the other. The entire capitalist establishment led by its mass media and political adherents, Tory, LibDem and right Labour are desperately tried to get Corbyn to resign; even the lame-duck Prime Minister and leader of the Tory party, David Cameron, made so bold as to join in by saying “For heaven’s sake man, go!” during Prime Minister’s Question Time on 29 June. He must have been aware that this epithet was the polar opposite of the revolutionary speech by Oliver Cromwell in the same place when his soldiers dissolved the Long Parliament on 20 April 1653, which ended with: “In the name of God, go!”  It was, of course, Cameron’s political ancestors whom Cromwell was scattering; the forces of the working class will not be scattered as easily today. The trade union bureaucracy led by Len McCluskey is desperately trying to broker a deal under leftist pressure from its rank and file and second level officials from below and rightist pressure from their perennially need to maintain friendly relationships with the capitalists themselves above and to keep their membership loyal to the status quo. Failure here could lead to a rising level of industrial strike struggles. The junior hospital doctor’s rejection of the deal brokered by its leader on 4 July led to the resignation of Dr Johann Malawana, the chair of the BMA’s junior doctors’ committee (JDC). Strike struggles by teachers over pay and conditions and by the RMT on the railways over safety and guards’ jobs are also ongoing. Public and Commercial Services Union (PCS) members in the National Museum Wales took all-out strike from late April to late June, when they won big concessions but not the protection of their weekend payments, their central demand in the dispute. Nevertheless, the huge national and even some international support for the strikers and the reinstatement of the indefinite strike action weapon, almost eliminated from the arsenal of the trade unions since the defeat of the miners and printers in the middle 80s, is a harbinger of a new turn in industrial relations which the TU bureaucracy are desperate to forestall. McCluskey’s efforts will be in vain, we confidently predict. Theresa May is the new Tory leader and Prime Minister. The entire mass media and the great bulk of the political establishment were determined that it would be she. The crisis in British politics also sees its reflection in the Tory party. Theresa May is the new Tory leader and Prime Minister. The entire mass media and the great bulk of the political establishment were determined that it would be she. Before 7 July desperate efforts were made by supporters of fellow Brexiteer Michael Gove to keep Andrea Leadsom off the final ballot paper for good reasons. Leadsom was the Corbyn of the right with the strong support of at least a substantial section of the membership and the big danger was for the ‘stability of the country’ was that the 155,000 Tory party members preferred Leadsom to May. Leadsom is more jingoistic, more right wing on all social issues, a little Englander Brexiteer like themselves and, unlike May, seen by the ranks as the political reincarnation of Margaret Thatcher. Sensible Tory party fixers have moved fast to avoid that appalling vistas and persuaded her to resign. Leadsom’s election would have plunged the country into increasing class and industrial conflict quite quickly. But May’s election will result in the same thing, but at a slower pace which will give a renewed lease of life to Ukip, whose long-time leader Nigel Farage, has just resigned. The ‘one nation’ Tory May will also eventually reveal the truth about class-riven Britain like the ‘two nations’ warrior Leadsom. The increasing bitterness in the Tory party over Europe, rumbling on since it cost both Margaret Thatcher and John Major their Prime Ministerships, will not go away. It has now claimed the head of David Cameron and the ranks of Tory backwoods people will regard May as “a Liberal wolf in sheep’s clothing” like the squirearchy, their political ancestors, regarded Sir Robert Peel when they forced his resignation over his cross party alliance with the Whigs to repeal the Corn Laws during the Irish Famine in 1846. Obviously this situation is highly unstable; a re-composition of British politics is almost inevitable as in the 1840s and after. Indeed, European and global politics are rapidly changing with the emergence of far right political forces in Europe and Donald Trump in America. A Labour party split, a new party of the centre composed of right Labour and one nation EU Tory remainers (less likely now May has won), Ukip to merge with the Tory right Brexiteers? But we just cannot know exactly how it will turn out. But as Marxists we can analyse the class forces in play and make some informed predictions. In the first place we must look at the forces as they showed themselves during the EU referendum. We concur with the Socialist Democracy Statement on the Brexit vote, End of Days for the old order, 29 June 2016. “As with all referenda it will be up to the British government, representing British capital, to pick and choose among the elements available to define a new relationship with Europe. That relationship will not be the illusory independence proclaimed by the Brexiteers. Their own lies, lack of unity and absence of a coherent programme will prevent this. However, the outcome cannot disguise an eye-watering shift to the right. Whatever is said, the vote was based on anti-migrant sentiment and the aftermath will see new levels of racism. 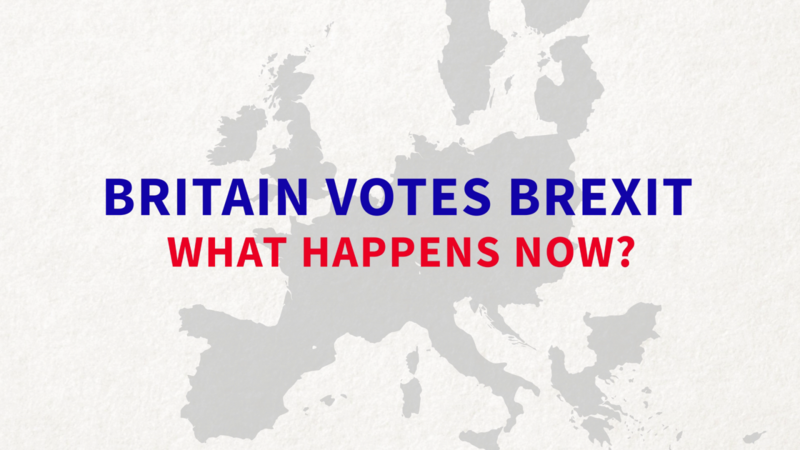 A spike in racist attacks has followed the EU referendum as fascists, racists and far right bigots have taken the vote to mean that all immigrants should be expelled now. The independent reports that after the EU referendum reports of hate crime had increased 57%. This was widely predicted and is reflected in the further increasing support for the far right in Europe, France, Italy, Holland, Belgium and Poland in particular. Open fascist forces in Greece, Ukraine, Hungary, Poland and Lithuania are also emboldened to step up their attacks. An ultra-leftist current has now emerged also saying Corbyn has become a Brexiteer and should be ousted because he is demanding that Article 50 be invoked immediately and Labour adopt strong positions on defence of workers’ rights during negotiations. This position in reality amounts to a bloc with the right because it is predicated on getting the referendum annulled through parliament. Obviously this would involve a bloc with some Tories. Theresa May had ruled it out and no Tory leadership candidate has taken this position. It is also ruled out by some EU leaders who are demanding the process begins now. And it would give the Tories and Ukip, not to mention the Eaglites, further ammunition against Corbyn’s Labour. Any resultant Brexit / right wing / fascist violence on the streets would be blamed on him. Also the demand for an immediate General Election is ultra-left and adventurous. All candidates for Tory leadership had rejected the call so it is unlikely to succeed. Also time is needed to integrate the new membership, the oust the Labour right wingers in local Constituency Labour parties and General Committees. A clear call from Momentum for deselection to begin as soon as possible against those who have sought to oust Corbyn is needed now, unlike the last surge when Jon Lansman adopted a ‘broad party’ approach in defence of the right wing and opposed deselection. Also we should rule out the notion that Corbyn should fight the next election on the platform of reversing the referendum. Brexit is done, the battle now is within Corbyn’s Labour to turn to anti austerity and the Labour Councils to begin resisting the cuts. Already Theresa May has openly abandoned fiscal rectitude on the deficit. All Tory candidates will go with that. Right wing populism is on the agenda strongly now because of the right anti-immigrant turn in the north of England, the Midlands and South Wales, etc.. That is overall a fraud, of course, but now the pressure must be on to resist the cuts locally. Corbyn is buoyed up by a new surge in membership. Momentum, the left Corbyn movement, is saying that the Labour Party membership is now 600,000, an increase of 200,000 in a month. The second Corbyn surge is becoming greater that the initial Corbyn surge. The last time the Labour Party had more than half a million members was in the early 1950s when it was almost a million and the Tories had 3 million. Now the Tories have only 155,000 members. Today the Chilcot Report and the whole Iraq invasion of 2003 has greatly dented support for imperialist adventures and national chauvinism in Labour ranks. And let us be clear about it. Like Vietnam in 1975 it is the mauling, if not outright defeats, in Afghanistan and Iraq, even though they achieved regime change there, that has produced this. And even though their interventions succeeded in regime change in Libya via proxy pro-imperialist rebels and failed in Syria nonetheless they have no clear-cut victories to point to where their great finance houses and transnational corporation can extract the vast profits needed to restore their rate of profit, the real source of the crisis of capitalism, particularly since 2008. Regardless of how reactionary the forces were that have inflicted this mauling on the US, the UK and the rest these are progressive defeats which strengthen the ideology of revolution by weakening national chauvinism in the ranks of organised workers in imperialist nations. The main enemy is ALWAYS at home in these metropolitan countries. The Marxist principle still holds, we are always for the defeat of our own and every other imperialist power in its conflicts with the colonial and semi colonial countries. No exceptions and never support the ‘civilising mission’ of US-dominated global imperialism or their hired proxy armies. And absolutely no talk of any ‘dual-defeatism’ in these conflicts. That is the vital lesson we must try to bring to this new Labour Party membership. We must also fight for strong anti-imperialist positions on Ireland and the republican POWs, wars in Afghanistan, Syria and Libya and the struggle over Ukraine. In this regard a revived LRC and its AGM in November will be crucial. “From that moment on”, said Bob Smillie, “we were beaten and we knew we were.” In other words, when it comes to a choice between the rights and welfare of its members and the security and welfare of the capitalism system itself, the profits and privileges of the ruling class will always come first for the trade union leaders. The Labour party leaders had already pledged their full allegiance to capitalism by entering the government during WWI and sending millions to be slaughtered in France. Also at this time the struggle in Ireland was vital for the future of the British Empire and here the Labour and TU bureaucracies played a vital and complementary treacherous role to their services to the ruling class in the domestic class struggle itself. From the middle of 1920 to the middle of 1921 there was huge support in the ranks of the British working class and in the wider liberal society for the struggle in Ireland against the atrocities meted out to civilians by the terrorist Black and Tans and in support of its right to self-determination. Labour party and TU leaders, led by the likes of National Union of Railwaymen’s leader J. H Thomas, Will Thorn MP, James Sexton and J.R Clynes always rode to the rescue of the Empire whenever the groundswell of support threatened to overwhelm the bureaucratic institutions of the Labour Party and the TUC. And J.R. Clynes, then leader of the Labour party (Feb. 1921 to Nov. 1922), wrapped it up for British Labour during the debate on the Anglo Irish Treaty in 1921: “we have as great a regard for the British Empire as the rest of you”. Not until the great miners’ strike of 1984-5 was sympathy for the struggle in Ireland revived so strongly. These situations will arise again and we must prepare for them by continuing the work of the Irish Republican Prisoners Support Group in the Labour Representation Committee in the November AGM by fighting there for the Irish Republican Prisoners and every other anti-imperialist cause. J.R. Clynes, leader of the Labour party (Feb. 1921 to Nov. 1922), during the debate on the Anglo Irish Treaty in 1921: “we have as great a regard for the British Empire as the rest of you”. The stance of SWP and the SP on (Brexit/Lexit) must be challenged. In the first place it is necessary to be very careful about how we put things and be very nuanced in our statements. Of course they are not racist, many have been in the forefront of anti-racism and anti-fascism over the years and have string positions against Zionism. The working class has a head and a rump. And right now its rump is leading its head. No far right group (Ukip) or fascist group (EDL, Britain First, important to know the difference) support remain. The political assassin of Joe Cox is a fascist. Following the rump of the class when it is supporting a reactionary cause is not supporting the working class, it’s conciliating reaction. We would suggest the SWP did that over the fall of the Berlin Wall and it does it quite often. Whatever their intentions the political direction of Brexit is to the right of Cameron. Did any trade union leaders pose the question of solidarity with Chinese steel workers who were facing a million redundancies during the Port Talbot ongoing steel crisis? The SWP were and are better than the SP on imperialism in general but where now is the call for “workers of the world unite” to counter pose to the anti-immigrant bigotry of Brexit and the right Labour capitulation to it? Not popular with northern workers to fight their capitulation to racist arguments (note the important nuance, ‘capitulation to’) but it does mean that real racists and fascists within the class have the initiative now, incited by mass media and the whole Brexit campaign. Tommy Mair, the fascist assassin of Joe Cox MP, may be mentally disturbed, as the Orlando shooter is, but they are part of the body politics too. Their actions do reflect in a distorted way, it is true, the political offensive of Farage and Trump, who bear responsibility for the murders. We should urge the SWP and the SP to change course and now and retrospectively support remain to escape charges of even a minuscule part of that responsibility. We would not ask that of the CPB / Morning Star because socialism in a single country has long ago (1935 popular front, and reinforced by the 1951 British Road to Socialism) morphed into capitalism in a single country, objectively to the right of Cameron on that issue. What tasks does this pose for revolutionaries? Recruiting to the Labour party to see off the challenges from Angela Eagle and the Labour right; deselecting these right wing Labour traitors. Fighting for anti-imperialist policies on Ireland, on the wars in Syria, Afghanistan and Iraq within the LRC and the wider Labour movement. Dissolution of the Long Parliament by Oliver Cromwell given to the House of Commons, 20 April 1653. Ye sordid prostitutes have you not defiled this sacred place, and turned the Lord’s temple into a den of thieves, by your immoral principles and wicked practices? Ye are grown intolerably odious to the whole nation; you were deputed here by the people to get grievances redressed, are yourselves gone! So! Take away that shining bauble there, and lock up the doors. 1. You don’t make the case for the (dubious) proposition that this is the most important period in our lives politically. [I wonder how many times in the past you’ve said, or even written, the same; for the old WRP, this was always the most important time]. I still can’t see how voting Remain can be made consistent with basic anti-imperialism. The Leave left argues that the same considerations dictated a Leave vote. I once accepted this argument, until I realized that refusing to support Remain did not dictate voting Leave in a plebiscite. But this argument requires a bit of subtlety; “Remain” seems obviously unpricipled. 3. I came to support an active boycott, but in retrospect I’m (tactically) doubtful. I’m now inclined to think a passive boycott, with corresponding propaganda, would make the point better than a campaign to spoil ballots. The argument about the EU – to me an argument primarilyabout imperialist trade policy, a fight between the globalizing faction of the capitalist class and a narrowly nationalist faction, and in mass base between a semi-lumpen element and the petty bourgeoisie – now seems less important than fighting the trend to pleblicitory democracy. What seems to have been lacking in the left approach is opposition to holding the referendum – a capitulation to populism which seems undramatic but which will have greater long-term consequences. 4. If you really think Remaining is so important, you should (logically) support a new referendum. To agree “the people have spoken” is to give even deeper support to government by plebiscite. Not only do the atomized masses decide, but a decision, once made, is deemed irrevocable. The masses have the right to change their mind. 5. Was Leave a defeat? Yes, but so would have been Remain.